Are we just getting more of the same? Most of the rumours around the Sony Xperia Z3 haven't exactly pointed to the most exciting of handsets and the latest one is no better. Android Community spotted that a handset bearing the code name 'L55t' has just been certified by TENAA (the Chinese equivalent of the FCC). Now it doesn't actually mention the Z3 anywhere on the listing, but L55t has previously been associated with the Xperia Z3 so they're likely one and the same. Unfortunately though if this is the Z3 its specs are almost identical to those of the Sony Xperia Z2, which sadly is what we've been hearing for a while. According to TENAA it has a 2.5GHz quad-core Snapdragon 801 processor, a 5.2-inch full HD display, a 20.7MP main camera, a 2MP front-facing snapper, 3GB of RAM, 16GB of storage and a microSD card slot. The only real difference between that and the Xperia Z2 is a slightly faster processor (the Z2 is clocked at 2.3GHz). The design may at least be in for a slight change though, as the Xperia Z3 is slimmer at 146.5 x 72.4 x 7.35mm (compared to the 146.8 x 73.3 x 8.2mm Xperia Z2) and slightly lighter at 158.4g, compared to the 163g of the current model. Other than that it sounds much the same. We should know for sure soon as Sony is expected to announce it at IFA 2014 at the beginning of September, but going by this you might want to hold on to your Z2 for a while longer. 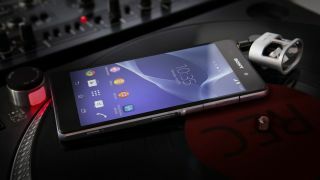 The Xperia Z3 Compact might be more exciting.